One the base had dried for 24 hours it was time to fit the top. 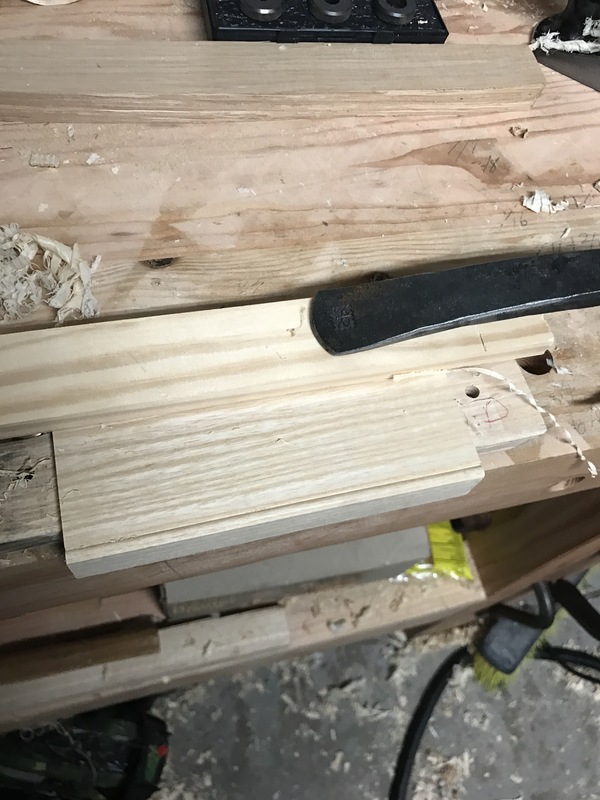 I cross cut it using a clamped block and a large backsaw, leaving 3.5 inches of overhang on each side. 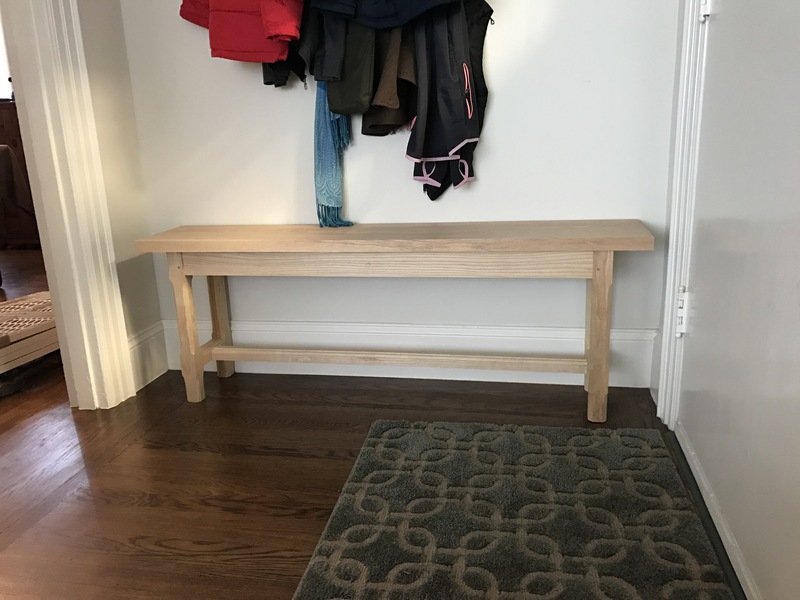 Since this was the last time for adjustments, everything was carried up stairs to make sure it would fit under the table and in the entry way (it’s final home once the dining chairs are complete). 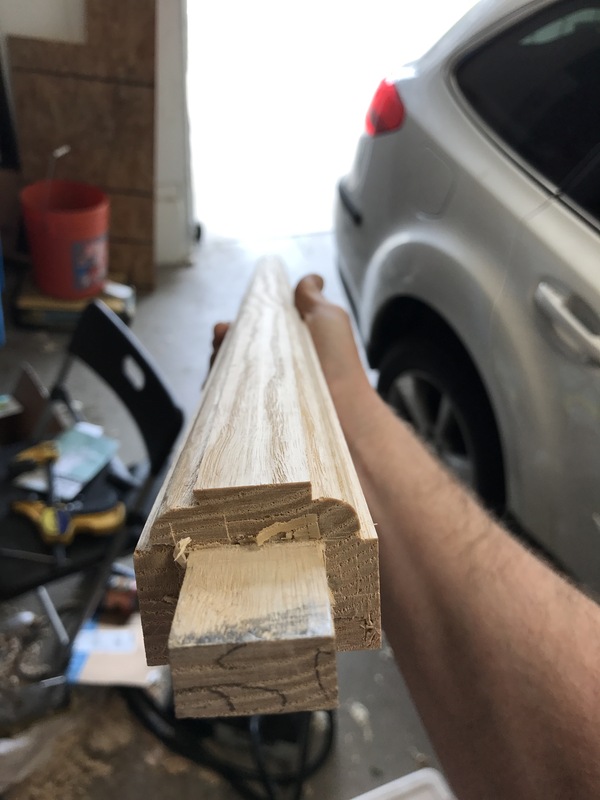 Luckily I had left the top a bit thick because there was some tear out that I removed with the planer. Then the top received a chamfer on all edges (probably around an 18th of and inch) and the top of the base was planted down flat. 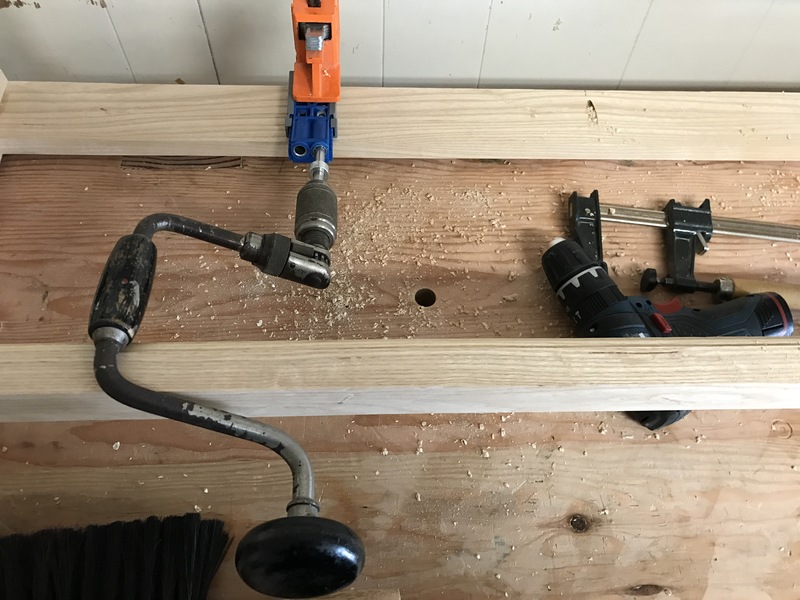 At this point I realized that the pocket hole jig and my drill were not going to work because the bottom cross memeber was in just the wrong place. 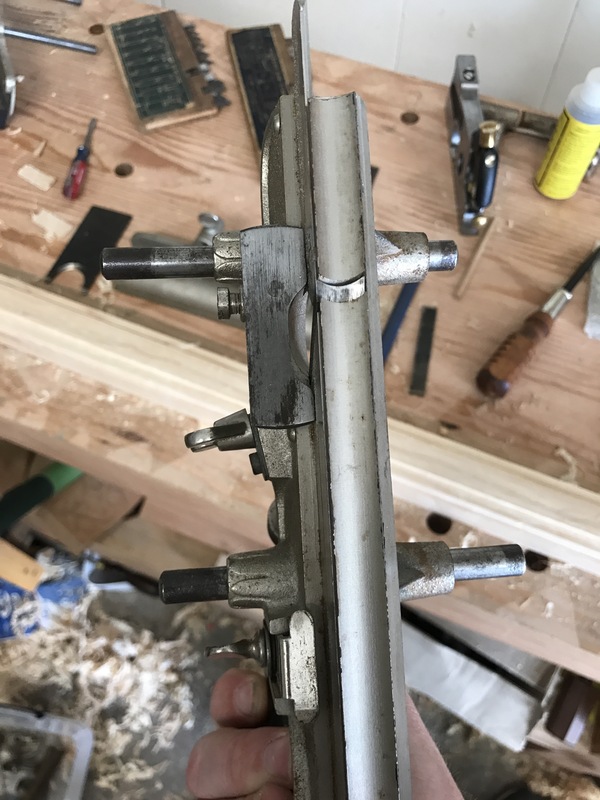 After quite a bit of fooling around I ended up using my small brace for held of the depth and then would swap back to my drill for the final depth. 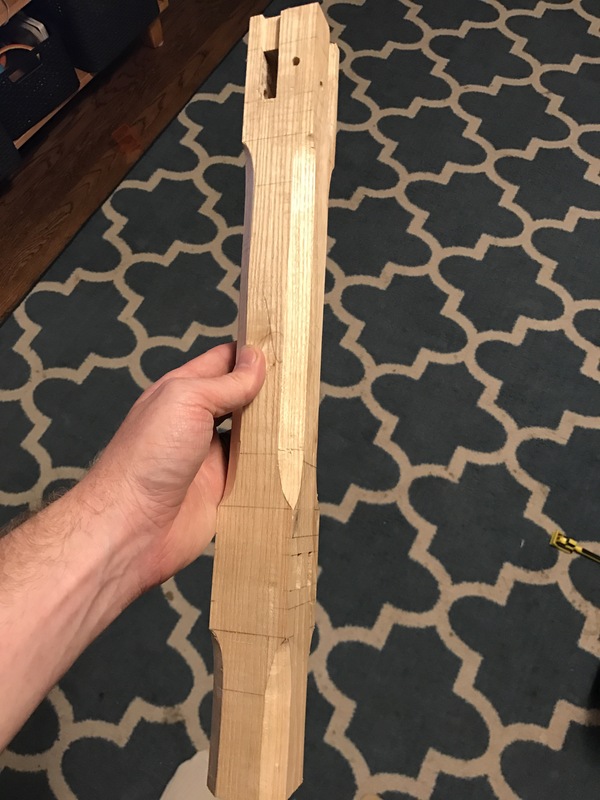 I attached the top, cut the legs to final length as then removed any imbalance with my Shinto saw rasp. 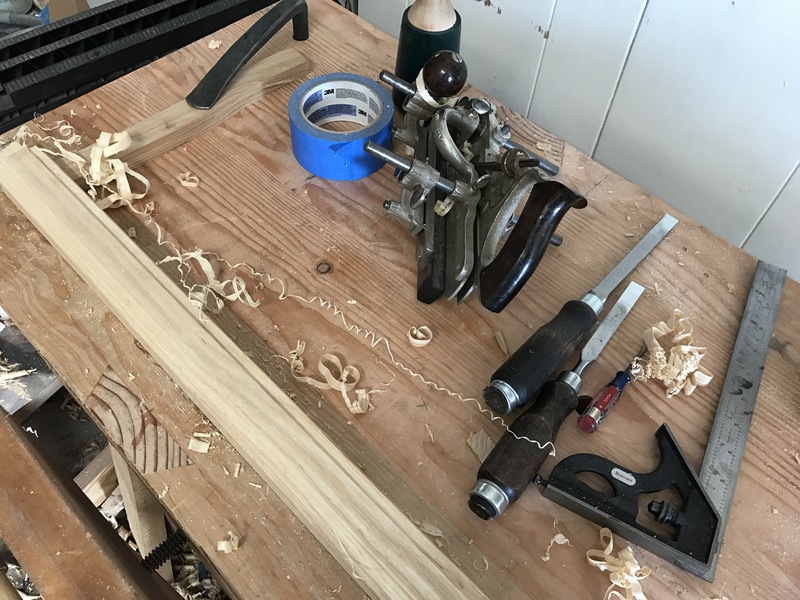 Then I used a low angle block plane to apply a roundish chamfer to the bottom of each leg. When I remove the top for finishing I will elongate the holes to allow for wood movement. 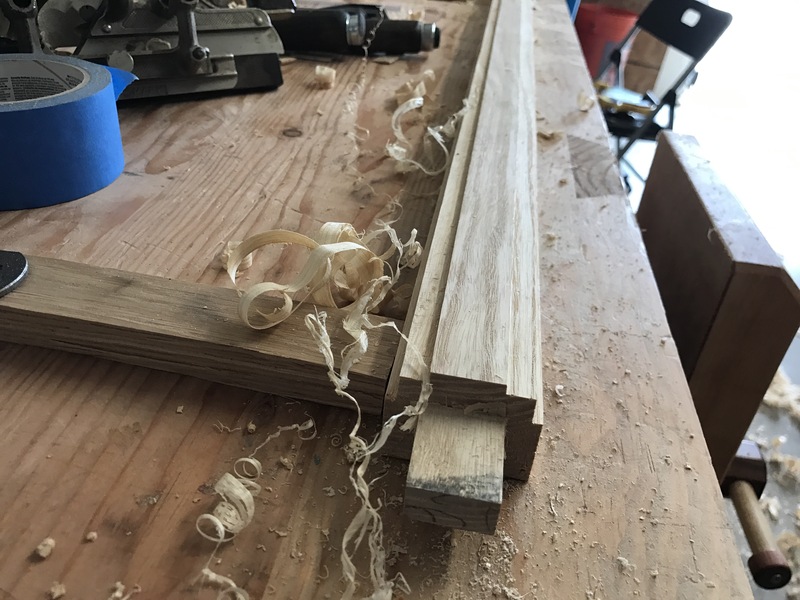 Speaking of finishing, like many woodworkers I dread this part. 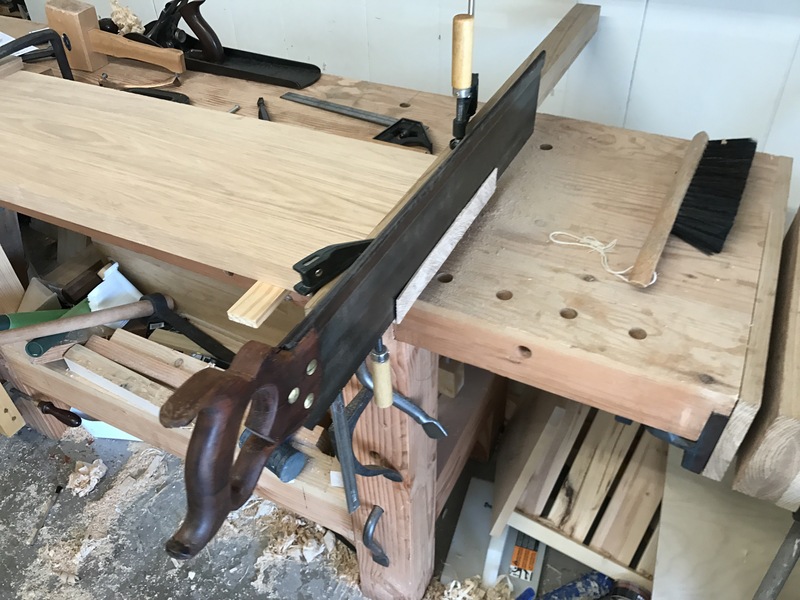 When I started the project I found an ash table on Pegs & Tails which I wanted to duplicate and Jack Plane was kind enough to give me some direction. 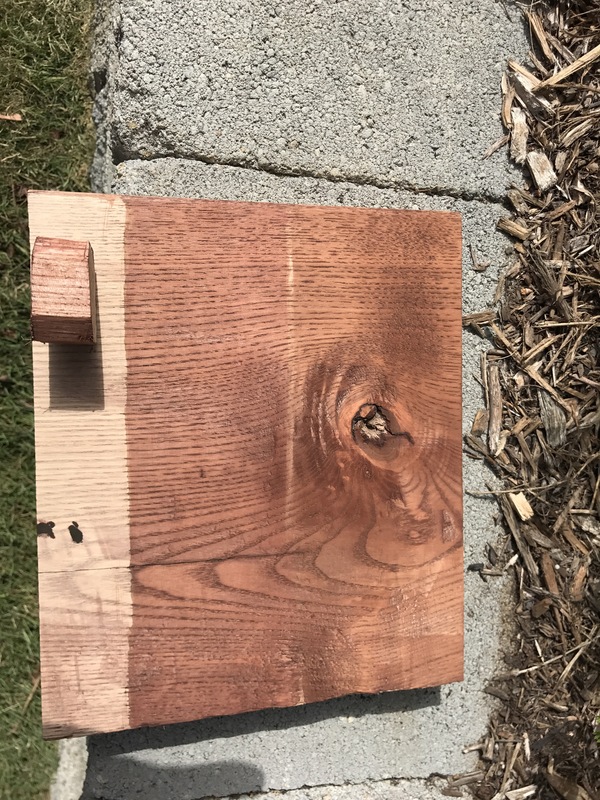 After a lot of experimenting I have a stain that looks close. It’s a mixture of three TransTint colors plus some vandyke crystals and some Cyprus Umber Warm (which I think is the same as turkey umber) pigment. I’m out of blo but a coat of raw linseed looks pretty good. I’ve sprayed the bench with some water to raise the grain and identify any stray glue. Once it dries I will sand with 320 in preparation for the dye. Made it a four day weekend so hopefully I can get this thing fully built and ready for finish before Tuesday. 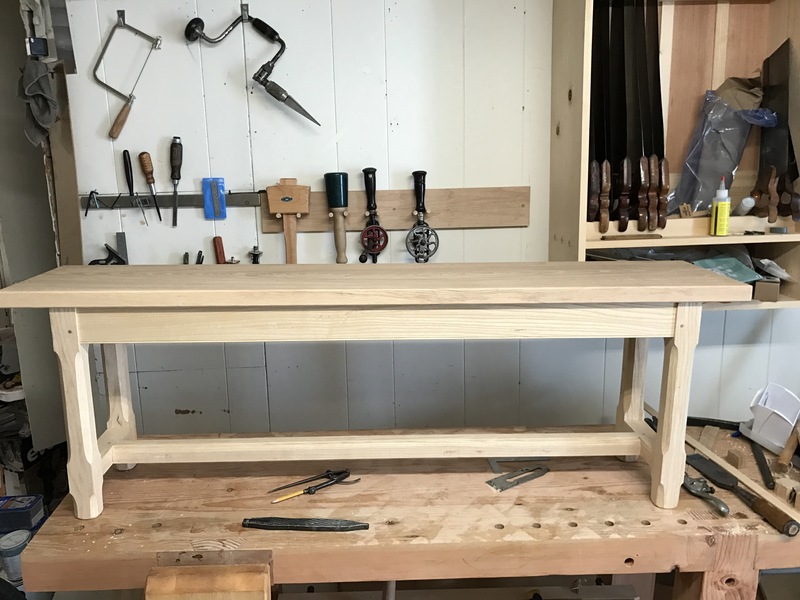 It’s been a busy few weeks (the colic is rough) but I finally assembled both ends of the bench. 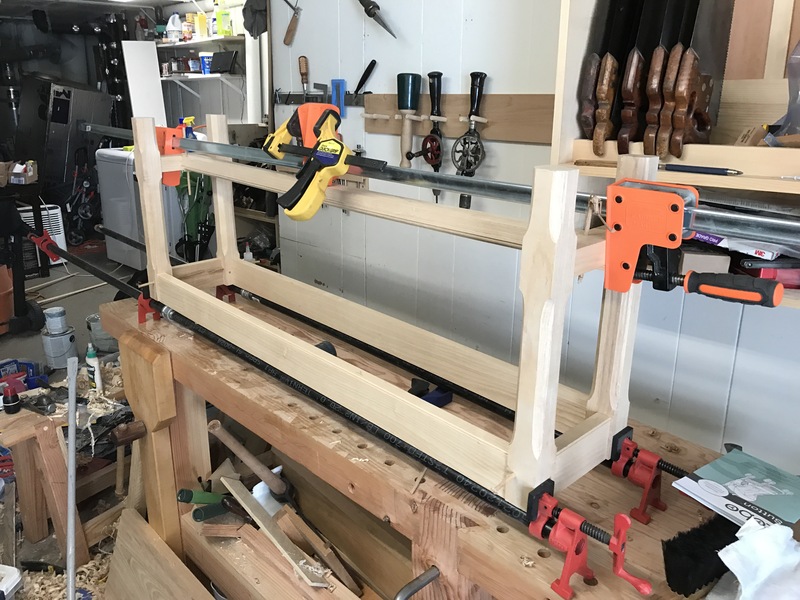 This project markes the First use of my dedicated beading plane that I purchased last year. My second son (time to start saving up for the teenage food bills) arrived a little over a week ago and everyone is doing great. Maybe it’s a sign that I work to much but this paternatity leave has been very productive for work around the house. Projects that have been languishing for months are finally getting done. 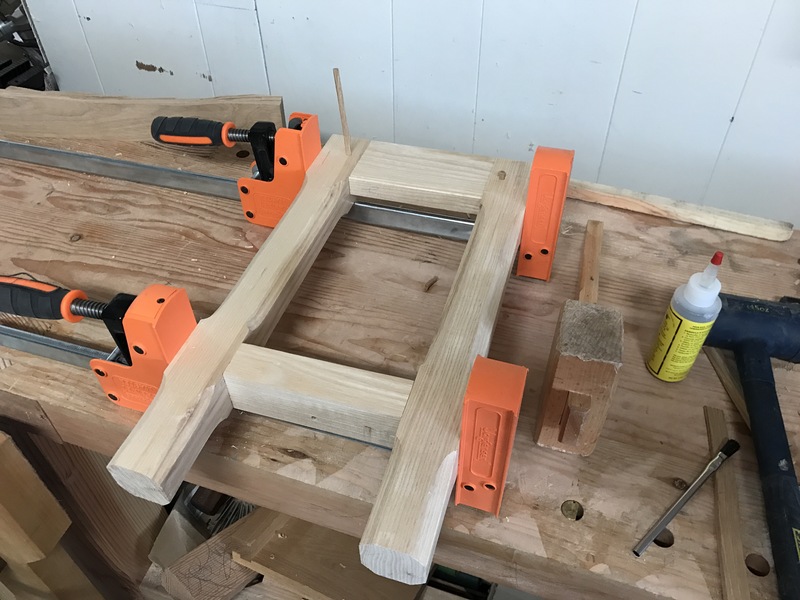 Case in point, the dining table bench joinery is almost complete as we are approaching the one year mark on the project. Only two joints remain but since there were two sleeping children and a very sleepy moma I decided to start shaping the legs. After checking my models it was time for layout. 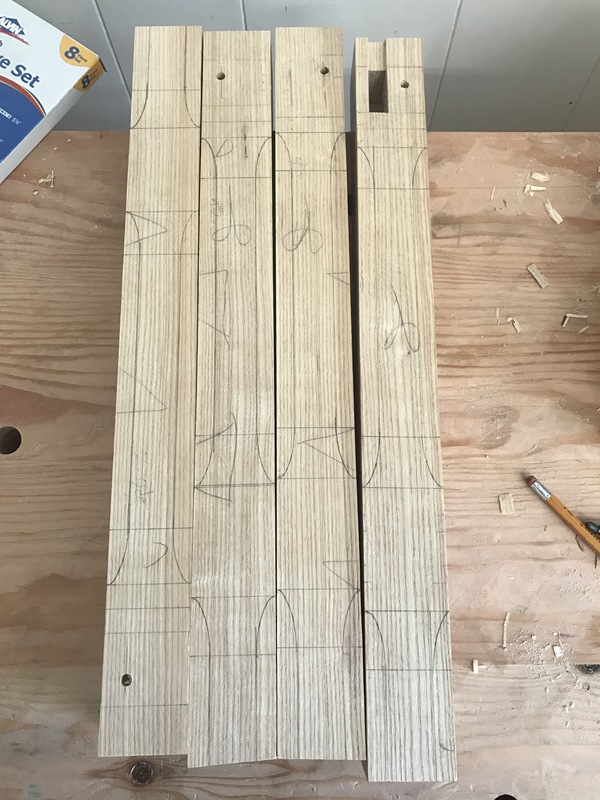 First I set a pencil compas to 7/16ths and marked out the chamfers: then using a divider set or 5/8″ and another set to 1 1/4″ I marked out the top and bottom of the transition curves; and then used one of my French curves to trace the curve. 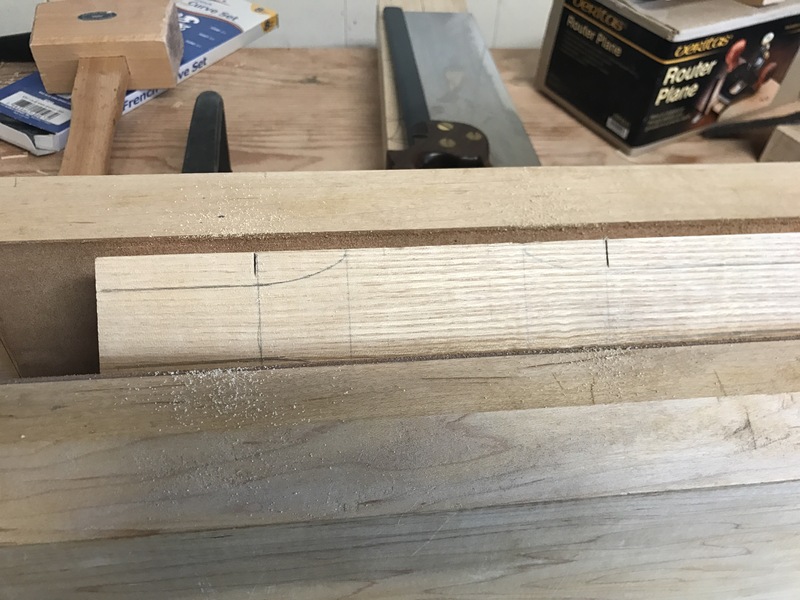 Next I sawed the transition points from the chamfer bottom to the curve to arrest any splits that might start while removing material. 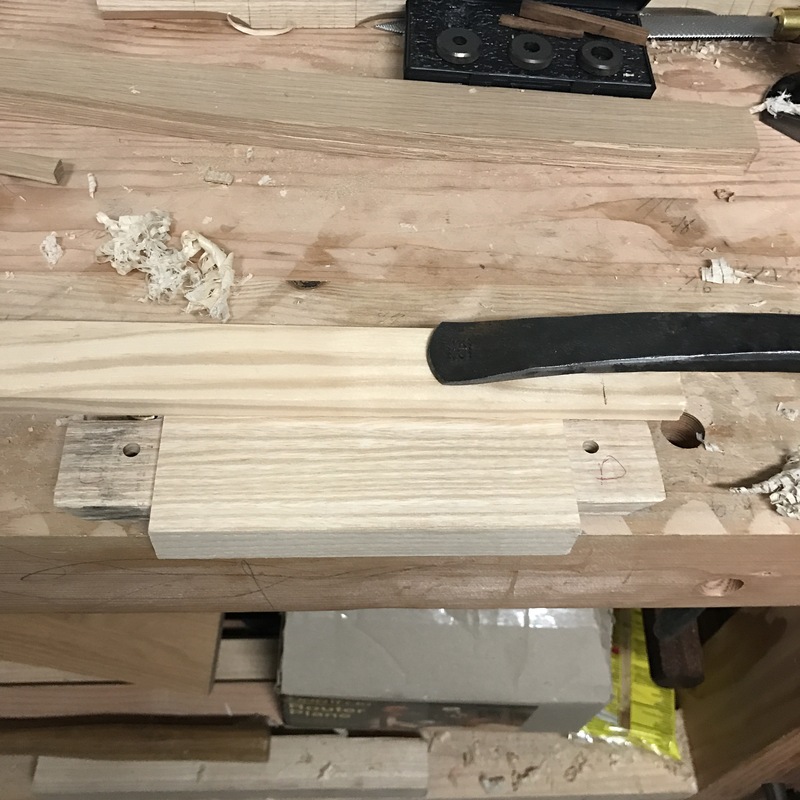 A draw knife removed most of the waste and then I experimented with various tools to make the curve before settling on my largest chisel bevel side down. 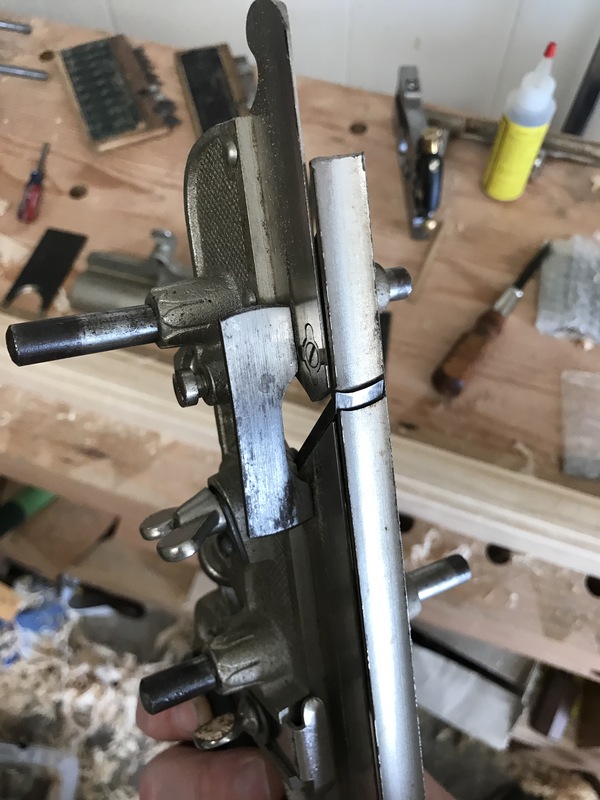 Then a snap spoke shave smoothed out the chamfer. Still a lot of “make pretty” work to go but it’s starting to look like the original.